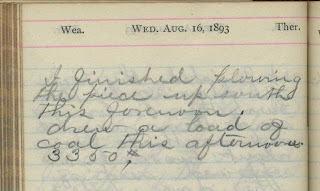 “I finished plowing the piece up south this forenoon. Drew a load of coal this afternoon. 3350#. 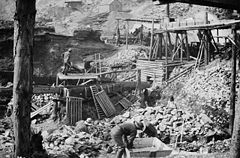 The Klondike Gold Rush, sometimes referred to as the Yukon gold rush, was a frenzied gold rush that drew tens of thousands of would-be prospectors from all over the world to the Klondike River near Dawson City, Yukon, Canada after gold was discovered there in 1896. The gold rush lasted only a few years, essentially ending in 1899. In total, about 12,500,000 troy ounces (390,000 kg; 860,000 lb) have been taken from the Klondike area in the century since its discovery. 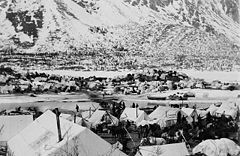 By 1898 Dawson City had a population of 30,000, making it the largest Canadian city west of Winnipeg. To cope with the onslaught, the NWMP force of 19 in late 1895 grew to 285 in November 1898. The police kept Dawson a very law-abiding place. 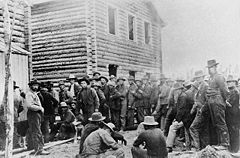 In 1898, there were no murders and only a few major thefts; in all, only about 150 arrests were made in the Yukon for serious offenses that year, over half for prostitution. The blue laws were strictly enforced. Saloons and other establishments closed promptly at midnight on Saturday. Anyone caught working on Sunday was liable to be fined or set to chopping firewood for the NWMP. Prices were high in Dawson that year. A meal that cost 15 cents in Seattle was $2.50 in Dawson and much inferior. Five dollars usually bought a meal of beans, stewed apples, bread and coffee. Supplies were so short that the police would not bother to arrest a man unless he had his own provisions. With currency being in short supply too (and actually commanding a premium), most payments were made in gold dust. 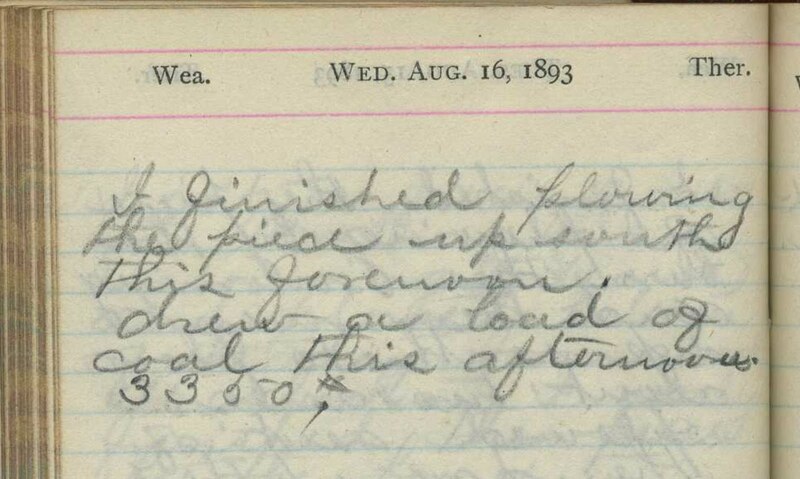 In places like saloons, enterprising proprietors found it worth their while to sweep up the floors every day for spilled gold. High prices were also paid for dogs. They were used as pack-dogs or sled-dogs. A dog could pull the same as a man and much faster. Some were pets from outside, however, the native dogs were best. They showed inbreed with wolves, but were kind and easily handled. Typhoid broke out in July and was rampant throughout the summer. The town's two small hospitals were filled to capacity. A common disease in Klondike, especially during the winter, was scurvy, a consequence of eating mostly preserved food for months. It struck, among others, the writer Jack London. It could be fatal, but was not in his case. In the spring of 1899, when the river ice was due to break up, government officials ordered the town's garbage piled out on the ice. At breakup, the Yukon River swallowed some of it and took the rest downstream.